The battle of the next-gen consoles is really hotting up, and both Microsoft and Sony will be vying for the attentions of the gaming faithful come the end of this year. In fact, the fight to secure the interests of gamers worldwide is already in full swing, with Sony having announced the PlayStation 4 back in February, and the announcement of the Xbox One last week finally put a name and a face to the plans of Redmond-based Microsoft. While some key details remain a mystery at this point in time, we now have a general idea of what to expect, and designer Ralph Cifra has put together a nice little infographic based on the information currently known. Plenty of analysts, commentators and gamers themselves have been vocal in their praise and criticism of the two consoles, and one of the stand-out issues with the PS4 is that, in making the announcement, Sony neglected to show the machine off in all its glory. The Xbox One, meanwhile, has divided opinion in terms of design, with many suggesting the set-top box overtones are reflective of a console that has forgotten about its gaming roots and gone all-out as a streaming TV device. 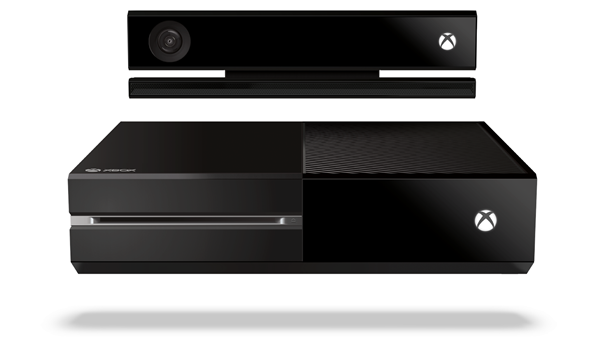 Some even went as far as calling the Xbox One a VCR. Indeed, it would seem as though Microsoft has only considered gaming as an afterthought, with the launch talking more about the wonderful interface and ease of content consumption rather than blistering graphics and immense gaming. As the infographic points out, the two titans are very similar in terms of hardware, with both sporting 8 core CPUs and 8GB of RAM. The PlayStation 4’s GDDR5 RAM suggests a more forward-thinking approach compared with the Xbox One’s DDR3, but as you will see in the side-by-side below, there’s very little to pick between the two when it comes to raw hardware specs. Both offer second screen capabilities, and as is now commonplace throughout the digital industry, both are heavily reliant on the power of the cloud. One area many are anxiously waiting on is the possibility of a used-game fee for Xbox One and PS4, which is one of the main reservations gamers have had when looking forward to the future of the console industry. The lack of an "always-on" connection for both is certainly some consolation though, and it will be very interesting to see which of these two reigns supreme when launched later this year. Check out the infographic, and be sure to drop your comments below.